This is a well carved tsuba by Mito Ju Horii Okinari. 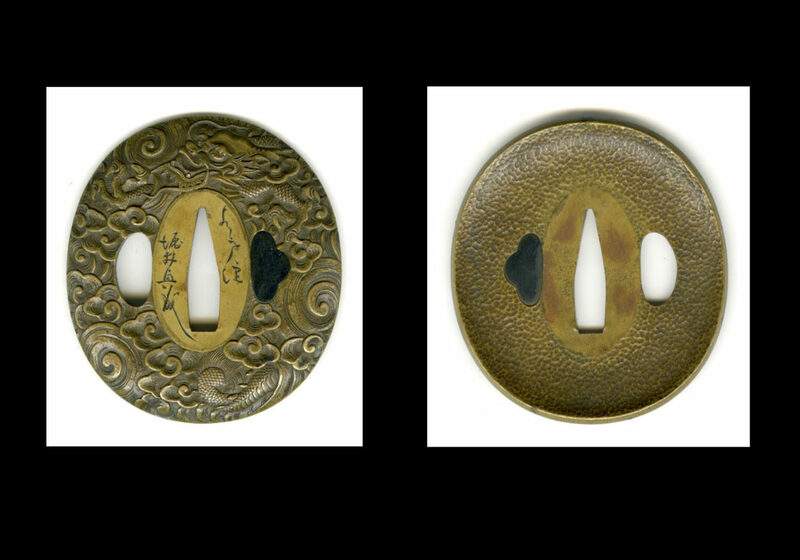 This tsuba measures 2.75 inches or 7.0 cm by 2.5 inches or 6.4 cm. It is made of brass and is cupped to resemble the guard of a European rapier. This shape became very popular during the Edo period. The reverse of the tsuba is well stippled by hammering and the obverse is superbly carved into a dragon frolicking among the clouds. The carving is really fine and wonderfully detailed. 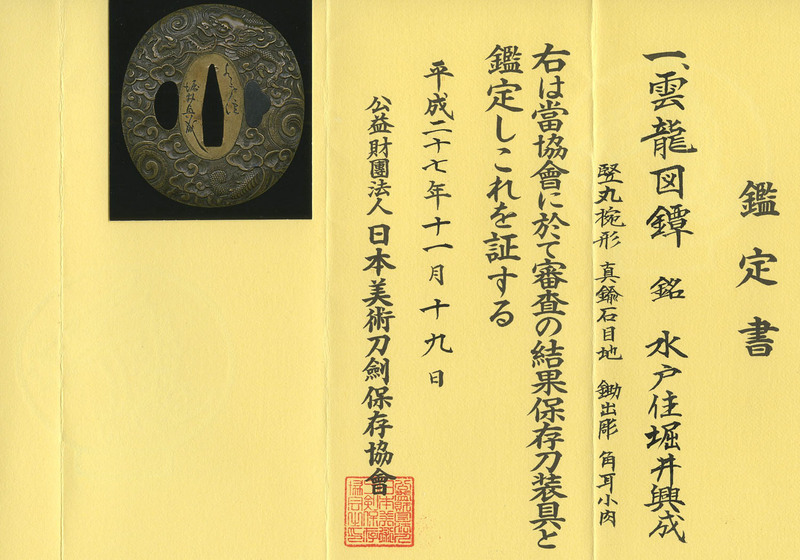 This tsuba comes with NBTHK Hozon papers attesting to the validity of the signature and the quality of the piece.. It comes in a custom made fitted wooden box.